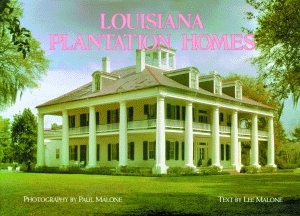 Pelican Product: 9781589806504, LOUISIANA PLANTATION HOMESA Return to Splendor: Revised Ed. A celebration of the antebellum South, this beautiful book features more than one hundred full-color photographs of restored plantation homes. The collection is complete with updated information to reflect the status of these historic buildings in light of the damage from Hurricane Katrina in 2005. Gorgeous photography and informative text highlights the history and outstanding architectural features of each home. The homes bespeak the grandeur of days gone by when plantation homes were decorated exquisitely, furnished lavishly, and surrounded by vast acreage of lush croplands. The styles of the homes are far-ranging and include excellent examples of Victorian Gothic, Colonial, Italianate, Acadian, and Southern Classical architecture, with some homes combining two or more styles. Destrehan, Edgewood, Houmas House, Nottoway, Magnolia Mound, Oak Alley, and Shadows-on-the-Teche are some of the seventy-six plantation homes featured in this compilation. Constructed from cypress and other materials from the surrounding land, the homes, built more than two hundred years ago, feature such details as soaring Greek columns, hipped roofs, dormer windows, balconies, galleries, ceiling frescoes, and formal ballrooms. Finishing touches, brought in by riverboats, include wall coverings, chandeliers, and marble statuary. 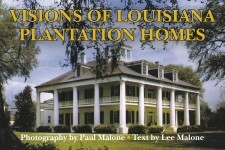 The late Lee Malone was a native New Orleanian whose love for the plantation homes of Louisiana led her to devote untold hours preparing this book. 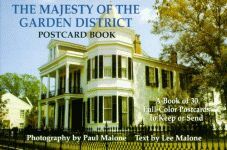 Paul and Lee Malone, husband and wife, also collaborated on Louisiana Plantation Homes Postcard Book, The Majesty of the Felicianas, The Majesty of New Orleans, The Majesty of the Garden District, and The Majesty of the River Road, all published by Pelican. Paul Malone, now deceased, was a critically acclaimed portrait photographer, often considered to be a master in his field. He is the past president of the Professional Photographers of Louisiana and a former member of the Professional Photographers of America and the American Society of Photographers.